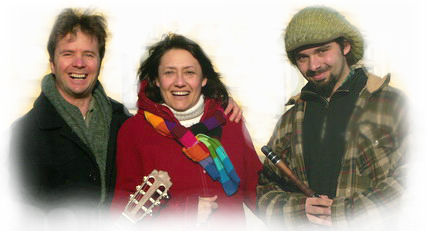 Asen&Milena Group started playing music together in 2009, with the aim to unite Bulgarian traditional music with the larger world of classical music and jazz. Their concerts, both in Bulgaria and abroad, have received great responce from the audience and the media. Asen&Milena Group have performed at the International Festival of Classical guitar Ensembles in Plovdiv, the International Classical Guitar Festival in Kjustendil, Bulgaria, Blue Week Festival in Kladovo, Serbia, International Classical Music Festival in Vrnjci, Serbia, among others. They also were guests and played for Bulgarian National Radio, Radio Hristo Botev, Jazz FM, Classic FM, Bulgarian National Television, bTV, Nova TV, TV Caribrod, etc. Asen&Milena Group's first album "The Middle Ground" was released in June 2011. The core of the band - Asen and Milena - now has been extended up to five people, adding kaval, violine and percussions to the voice and classical guitar. The musicians that stay behind this project are Veselin Kojchev - guitars, Aleksandar Lekov - base, Dicho Nikov - clarinet, and Ivan Enev - percussions. The CD had been featured in number of TV and radio broadcasts, including the Bulgarian National Radio. Milena's second CD "Between" was released in March 2010. Featuring again some of the finest bulgarian musicians, such as Rumen Toskov, Hristo Jotsov, Veselin Veselinov - Eko, and Tsvetan Nedjalkov, the album reveals a new, jazz-dominated version of the Bulgarian folklkore. 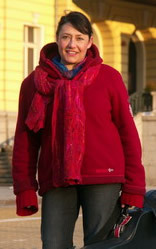 Asen was born in Kjustendil, Bulgaria. He started playing classical guitar in 1986. 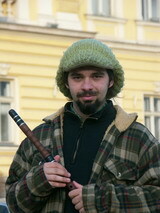 He completed his MA in classical guitar at the New Bulgarian University, Sofia, Bulgaria, with proff. D. Doychinov. Asen is a winner of several awards: II Prize at the National Guitar Festival Kjustendil '97, II and I Prize at the International Guitar Festival Gotse Delchev '96/97 and others. He participated in master classes of Oscar Gighlia, A. Desiderio, H. Kaeppel, A. Koshkin, K. Yamashita, LAGQ, etc. As a member of EPIKA Guitar Quartet and a soloist, his arrangements and performances have received significant TV and radio coverage. Asen's international performances include ones in Greece, Italy, Germany, USA and Micronesia. Asen Marinov has released 4 CDs, playing solo classical guitar and chamber music, as well as his arrangements of pop&rock music. For more information, please, visit www.asenart.com. Currently he is teaching classical guitar in Southwestern University of Blagoevgrad and in the National Music School in Sofia. Hristian is only 22 years old, but his love for the bulgarian folklore brought him to the highest level of mastership of his instrument. He has studied the traditional bulgarian windwood instrument kaval with some of the best teachers in the country such as G. Tasev, N. Nedjalkov and I. Pejchev. He started playing music 6 years ago and currently is a member of two other ethno music groups - Merudia and Oratnica. Hristian studies history in Sofia University "St. Kliment Ohridski".